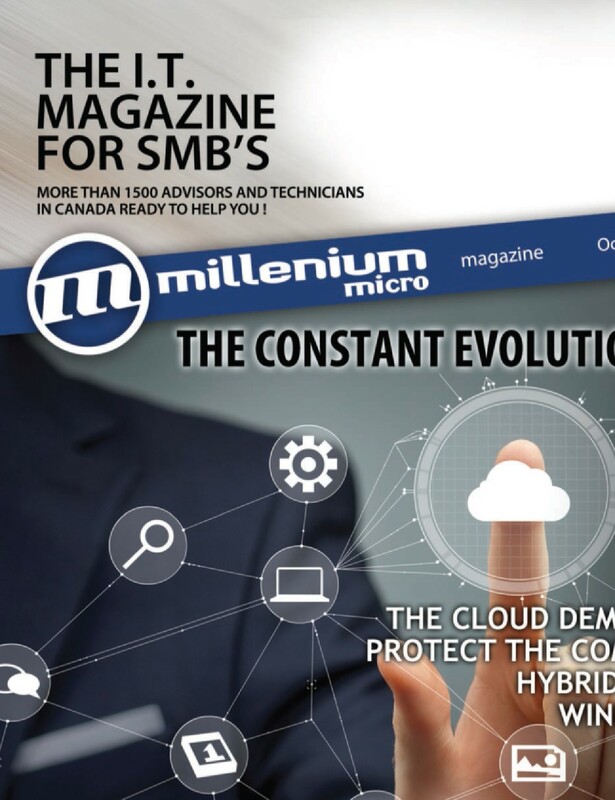 It is with great pride that the Millenium Micro Group and its a liated members present the fourth issue of our information technology magazine. Did you know that having an effective backup of your data is now a breeze? Several means are available to you! Backup software, hard drive, online backup, etc ... Talk to one of our experts in store to choose the solution that meets your needs. © Group Millenium Micro 2011-2019	for Forgestik Inc.